Travels can be expensive and a lot of people are discouraged by the costs of flights and hotels. With all the baggage fees and booking charges, travelers tend to spend more than they would have anticipated when booking flights and hotels. 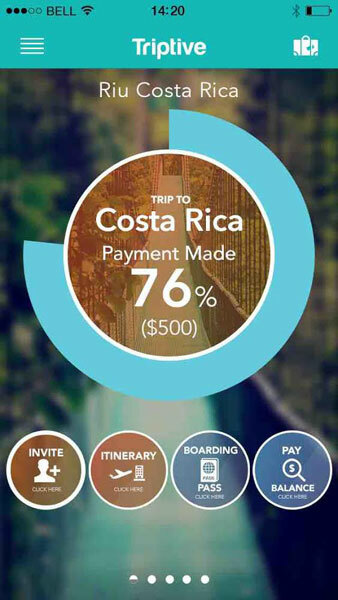 But what if you can book your flights and hotels on a monthly payment plan? Triptive will do just that for you. We got in touch with Alex Newman, CEO of Triptive, with some questions about this fantastic idea in his upcoming website and mobile app that allows users to book a trip ranging from 1 – 12 months in advance and make low monthly payments. When you arrive to the website or mobile app, you are given two options: ‘create event’ or ‘join’. Create event allows you to title your trip (i.e. Colombia Trip). You would then continue to book your trip by selecting flights and then hotels from the website or app itself. After the trip is booked, you will receive a unique identification number called the “Triptive #”. You can then share this Triptive # with your friends and family to invite them along on the trip. 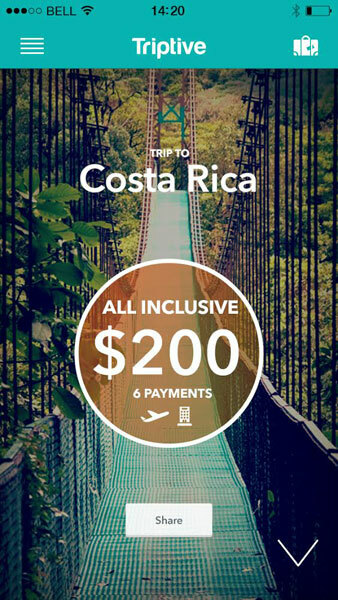 The invitee can join the trip and make low monthly payments in sync with the departure date. 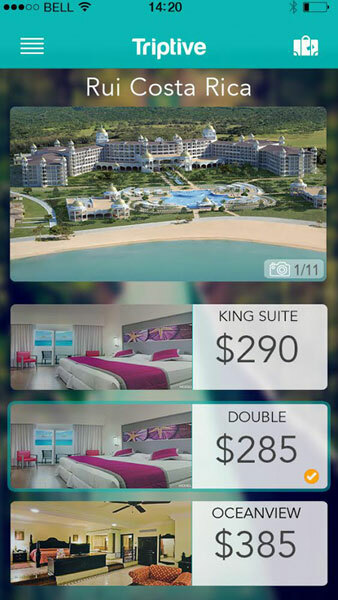 At the time of launch, Triptive will offers about 37 hotels, of which a majority are just outside the U.S. (Cabo, Jamaica, Cancun, Hawaii, Costa Rica, Dominican Republic, Miami to name a few). Travel On The Dollar: So basically one can book flights and hotels for a particular destination from the app or website, and once they book everything, they can start monthly payments. Alex Newman: This is correct. The way it works is the first payment is considered the down payment and it would pay for the airfare. The remaining amount for the hotel will be broken into installments. The trip would be paid in full 30 days prior to check in. TOTD: When a user lands on the app or website they can search for flights and hotels, but what happens if the flight option they may have seen on, say, Kayak doesn’t show up on Triptive? Alex: The flight and hotel will be displayed as a package. 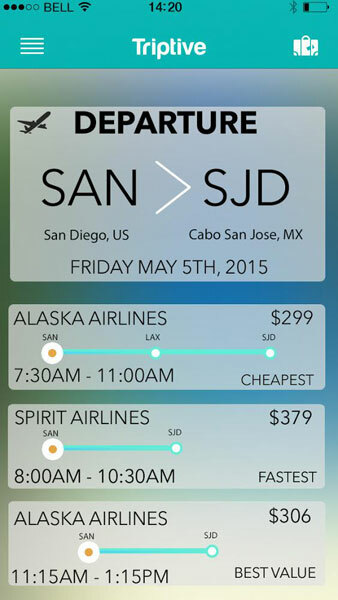 The user can customize their flight and flight times. The flights displayed should be the same ones as Kayak. TOTD: What fees does Triptive charge for bookings? Alex: Triptive does not charge for bookings. Our arrangement is with the airlines and hotels. We receive a discount and that is how we make a profit. TOTD: What percentage interest does Triptive offer? What is this based on? Are there any charges for paying off early? Alex: Triptive does not charge interest, which is a huge benefit for users (Ed note: Yay for that!). There is also no cost to pay off the trip early. In the event a user were to cancel their trip, the cancellation fee is $250 which also covers the airfare cancellation costs. TOTD: Can someone send their already made bookings to you and you loan them money which they can make payments to? Or they need to book through Triptive only? Alex: The user will have to book their trip through Triptive. All in all, it’s a great idea for anyone not to spend a huge amount when booking their next travel, but make monthly payments and that too interest-free! We surely look forward to using the website and app when they launch at the end of year. If you want to sign-up for their launch, simply head over to Triptive and enter your information.